You can now play golf in style, even in the rain, with the new Peak Performance ultra-light golf anorak. Hit the greens on rainy or windy days with this anorak and, if need be, pack it away without taking space for your irons or woods. 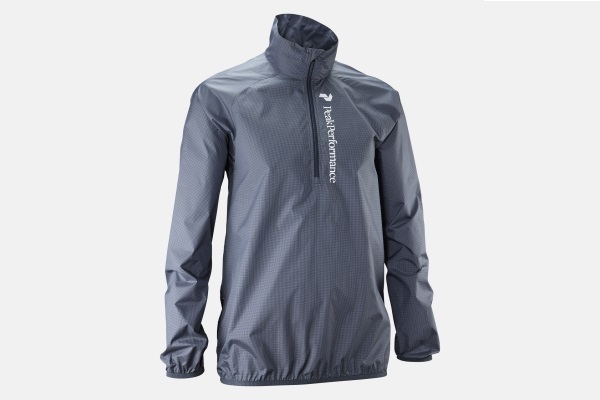 Thin and uninsulated, this jacket will keep you warm by breaking the wind and repelling rain. A back pocket also lets you store some small items without cluttering the front of the jacket and affecting your swing. The anorak fits easily into an integrated back pocket, just in case the sun comes out before you’re able to complete the 18 holes. The company logo, a discreet and stylish detail by the Swedish company, appears on a leather label. The Peak Performance anorak is available for the upcoming season at the price of $100.